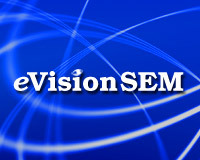 eVision offers an advanced site design methodology called Conversion Point Architecture that can significantly improve conversions on a web site. Here’s a case study of actual results seen during a client project. The combined conversion rate for two important sales goals on the web site increased 300%. Is there a Conflict between SEO and SEM at the Agency Level? Detlev Johnson at SearchReturn published his search marketing tips and tricks that he’s preparing to present at an upcoming event. There’s some sound advice here for both paid listings and organic search. In this article I look at the traffic from our own referral sites using Click Tracks and show you how you can use analytics to analyze the traffic from your referrers to see which sites are converting. More importantly I’ll show you how to increase the traffic from referring sites that are converting well and how you might improve conversions from sites not converting well. Is The Effectiveness of Optimized Online Press Releases Declining? There’s no doubt that the effectiveness of online press releases has diminished over the past two years because of the explosive growth of submissions (it’s much harder to get noticed than it use to be) and due to the growth of social media. We still believe that online press releases are well worth the effort (they’re a relatively low cost marketing tool). However, they should be just a part of an online marketing campaign that includes focusing on social media as appropriate too. Here’s an overview of how optimized online press releases work and short and long term benefits. Over the past weeks David Szetela has posted 7 articles covering Content Advertising – Also known as contextual advertising; advertising on the search engines’ content networks such as those from Google, Yahoo, and Microsoft.